The members of Theatre Pi, Zlatko Mitrevski and Makedonka Ilievska, worked on preparation of the multimedia project “OXYGEN”, in the past period, in which all actors are persons with intellectual disability, beneficiaries of the Day Centres of the Republic Centre – PORAKA in Skopje. 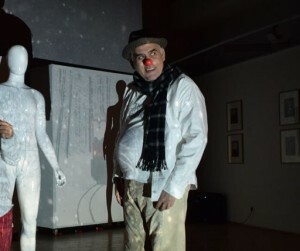 “OXYGEN” was premiered at the Multimedia Centre “Mala Stanica” on 8.12.2018, and through series of specific acting techniques and improvisation process, the possibilities for creating theatre with pictures and stories from everyday life of persons with intellectual disability was explored. 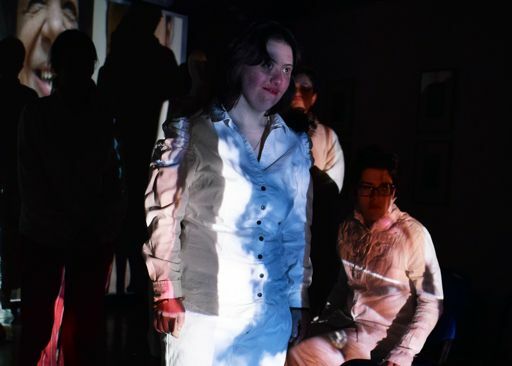 “OXYGEN” is the fourth joint project of Theatre Pi and the Republic Centre – PORAKA, in which emphasis is put on the ability of persons with intellectual disability to be performers and engaged, through body language on stage, to share one intimate theatre act with the audience. Directing and the video mapping was done by Zlatko Mitrevski and Makedonka Ilievska. The cameraman was Gavrilo Milovanovik. Jovan Vitanov played the phage. 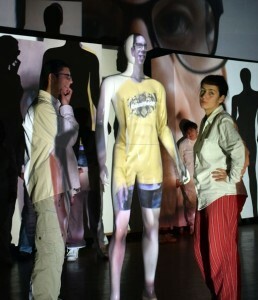 The project was financed by City of Skopje, and supported by the Multimedia Centre “Mala Stanica” and Sara Fashion.